“How can anyone forget to have lunch?” These wise words from Val McDermid were just one of the great nuggets of wisdom that came out of the first Killer Women Crime Writing Festival on Saturday. Founded by Melanie McGrath and Louise Millar, Killer Women is a group of mostly London-based crime writers who originally assembled to, in their own words, “get around Mel’s dining room table and share a gallon of wine.” What followed was an anthology of short stories and now the brilliant Killer Women Festival, featuring big names such as Val McDermid, Martina Cole, Ann Cleeves, Mark Billingham and John Connolly. Although this was a festival organised by a group of women, they “welcome crime readers and writers of all shapes, sizes and sexes”, and male authors were featured on the programme. But with Val McDermid and Martina Cole on the line-up, as well as a panel entitled ‘Is Crime Fiction Misogynistic?’, I knew I was going to come away with some interesting perspectives from and about women within the crime writing community. The first event I attended was Martina Cole in conversation with Melanie McGrath, a discussion which focused on Cole’s long and successful career in crime writing. Cole is known for her gritty, unforgiving depictions of life in London’s criminal underworld, and off the page she is straight-talking and direct. When faced with the question so typically asked of women who are successful in their professional lives and also have a family, “How DO you manage to fit it all in?”, Cole responded, “I think most women are grafters”. This speaks volumes about what lies at the heart of her identification as a feminist: a belief that women need to “learn to look after themselves.” She is a firm believer in being independent and working hard, which is perhaps why in so many of her books her female characters find themselves in criminal worlds which are usually dominated by men. Cole was realistic, however, about how far she can portray women in a feminist way in her novels, and said that it does “depend on the era” as her novels reflect women’s social standing at the time the novel is set. She is also realistic about the privileged conditions which allow her to write. Whereas, she said, some male writers boast about having a wife to bring them tea while they write their novels, she has a housekeeper to help with the domestic tasks. Cole was honest and engaging, reflecting on her position as a woman in the crime writing community and the successful niche that she has carved out for herself, whilst still going caravanning and shopping in Asda. From one Queen of Crime to another, Val McDermid in conversation with Laura Wilson was definitely a highlight of the day. With her characteristic wit, McDermid talked feminism, getting published and her writing routine. It was not unsurprising to hear that Kate Millet’s Sexual Politics had a massive effect on McDermid when she was studying at Oxford. She described reading the book as “like an explosion inside my head” and completely changed what she was reading at the time. However, it seemed that the crime writing landscape was perhaps not ready for a woman with this level of feminist awareness, as McDermid recounts feedback on her work that said having too many lesbian characters would be “commercial suicide.” This was interesting to think about considering the current swell in LGBT fiction across many genres of writing. McDermid identifies as a Scottish writer, and articulately described what she called the “duality” of Scottish identity; on one hand the “Presbyterian guilt” and on the other the “Gallic fun”. It is in this duality that McDermid thrives, relishing the black humour it creates and exploring this in her writing. However, although she identifies in this way, she was also keen to point out that it is not her job to be a “poster girl” as a lesbian, a woman or as a Scottish person, but to show the world as she sees it through her writing. It was refreshing to hear her taking this stand, especially in a world that loves to make an individual, especially a woman, a mouthpiece for a group of people. My final visit of the day was to the panel entitled ‘Is Crime Fiction Misogynistic?’ chaired by India Knight and featuring Sam Baker, co-founder of The Pool, Julie Bindel, feminist writer and activist, and the crime writer John Connelly. I was particularly interested in going to this debate in light of Charley Barnes’ recent feature about violent women in fiction for the site, which raised questions around misogyny in the crime genre in particular. Always bound to be a lively event, the debate was fascinating, if not a little short given the breadth of this area of discussion. In terms of scenes depicting violence against woman, Julie Bindel suggested that crime fiction is misogynistic if it is written by a misogynist or if it is written by a “lazy” writer, and that scenes of violence against women need to be exploring the context of the attack and the interface with questions of gender. 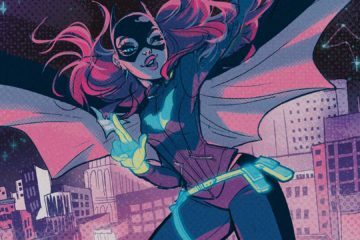 They should not be simply to entertain or titillate – they need to serve a purpose within the plot, particularly in depictions of sexual violence. Bindel also went on to suggest later in the debate that crime fiction should look more at the effects of violence, rather than focusing on the perpetrator. Perhaps this would be the key to a more realistic portrayal of violence and what it leaves behind than the extreme, voyeuristic scenes that we currently see in so much crime fiction. There was also a lot of discussion around whether there is a difference in the way that men and women write violence. India Knight suggested that some of the worst examples of misogyny in crime writing come from women whose lazy writing falls back on stereotypical ideas about the woman as victim and her relationship with children. The rise of the domestic thriller, however, has made the focus of many crime novels more psychological than violent. The panel suggested that it is women who are leading the movement towards a more psychological approach, which does not focus on the visceral violence that is traditionally at the centre of crime writing. In this landscape female characters can, as Sam Baker suggested, be more complex. There was also really interesting discussion around the theory that women absorb ideas from books such as Fifty Shades of Grey and are conditioned to see women as victims. This goes some way to explaining why books depicting extreme violence against women are so popular amongst a largely female readership and can still be seen lining the shelves of supermarkets, as John Connelly pointed out, creating a vicious circle of supply and demand. 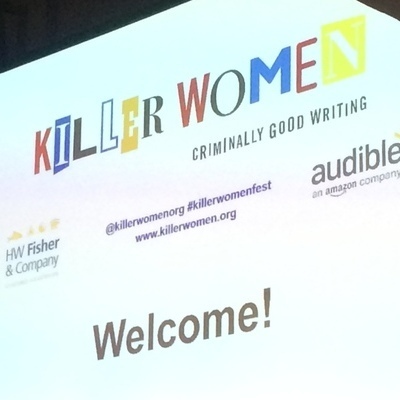 Killer Women Crime Writing Festival was a great day that managed to combine big name authors with a genuine sense of community and conviviality. The events I went to were really enjoyable and the ‘In Conversation’ events did try to broaden their scope from the usual discussions about the author’s upcoming book. It was also a great platform to learn more about upcoming writers, with a Fresh Blood event and various chapter samplers of upcoming books given out in the goody bag. It was brilliant to see, in a genre with such a large female readership, a group of talented women coming together to create an event which celebrates crime writing in all its glory, even going as far as to have crime-themed sandwiches! The overwhelming sense of the day was that of creating a community of writers and readers with a passion for crime fiction at its heart. It was, as the Killer Women would say, a “criminally good” festival. The image shows six women dressed in black and wearing red lanyards standing on a stage. Behind them is a projector screen which reads “Killer Women” in multi-coloured text which looks like it has been cut out from a newspaper. Underneath this to the right it reads “CRIMINALLY GOOD WRITING” in black font. 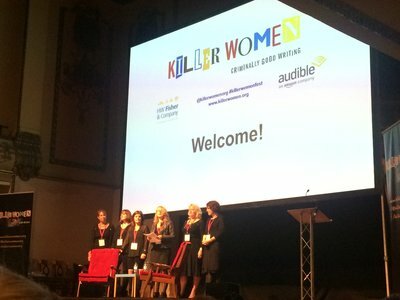 Beneath this is the logos of their sponsors HW Fisher & Co and Audible as well as @killerwomenorg, #killerwomenfest and www.killerwomen.org.